The XC50 series is optimized for indoor applications. One- and double-sided devices are offered. The unilaterally readable devices have a LED matrix on the front, the two-sided readable devices have a LED matrix on the front and back. The unilaterally devices are for wall mounting, the two-sided readable devices are for hanging installation. With increasing digitalization, communication between human and machine and the visualization of complex data will be of evergrowing importance, not least in view of industry 4.0. 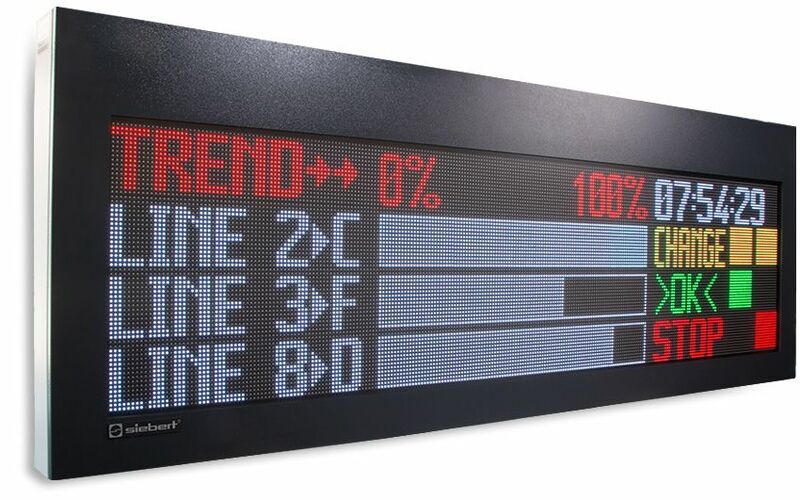 The LED matrix displays of the series XC50 are predestined for these applications. 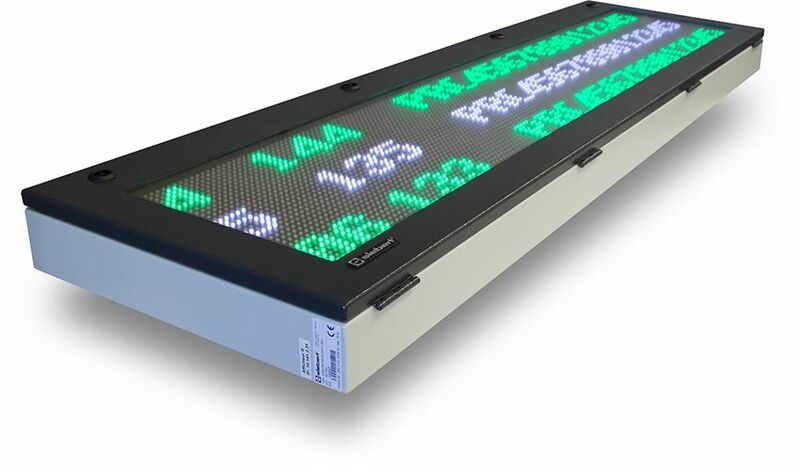 With superior technology and innovative details they set a new standard for professional large size displays. With the series XC50 a wide range of ready-to-use and easy-to-mount standard devices in many sizes are available to the user. For indoor applications the series XC50 is offered. It is optimized for these applications and it is characterized by flat housings. The full-daylight LED matrix has a particularly high luminance. Sensor controlled it is automatically adjusted to the ambient brightness. The devices are characterized by a professional industrial design. The wall mounting is done with internal fasteners, so that the appearance of the devices is not affected. The hinged, quick released lock front panel of the units provides an easy access to all ports and components. A special feature are the typographically designed character sets with narrow, normal and bold fonts. They convey a print-like typeface and enable an ergonomically perfect presentation of information. 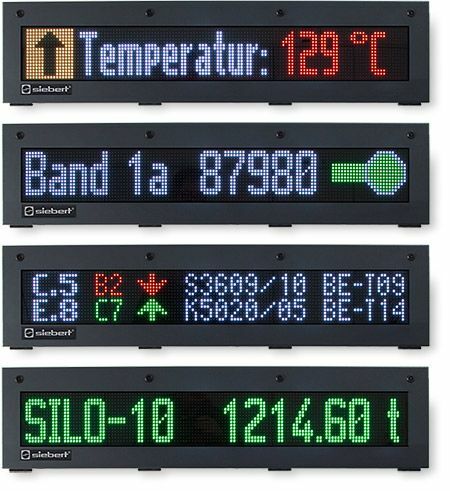 Texts, numbers and graphics can be displayed in brilliant colors on the LED matrix. Graphics, symbols and pictograms can be integrated as bitmap or PNG. The LED matrix realized in SMD technology is characterized by high luminosity, longevity and a wide reading angle. An advance of object-oriented control is the separation of layout and data. 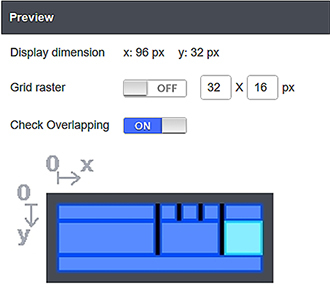 Layout objects (display fields) are defined on the matrix area, e.g. 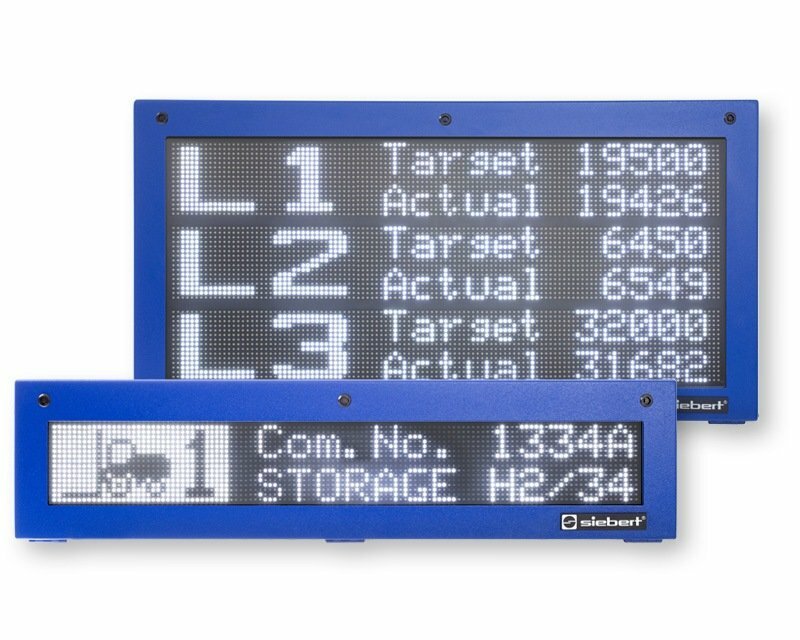 for texts, numeric information, graphics, luminous fields or bar graphs. Position, size and leve are freely selectable. The objects can be controlled individually. The formattings (fluorescent color, font, background, flashing, etc.) can be preset for each object and are automaticall applied to the transmitted user data. If, for example, a color change is preset when the threshold is exceeded this is done automatically and without a special command, unlike with conventional control. 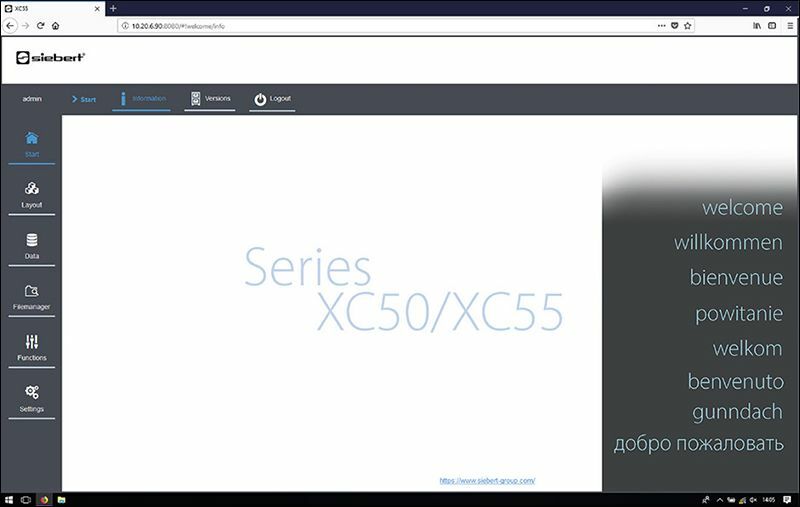 The integrated web server is an innovative feature of the XC50/XC55 series. It allows the comfortable parameterization and commissioning of the devices via a standard web browser from a PC or from a mobile device, without having to install a PC software. Via the web interface the information to be displayed can also be entered manually. The ergonomically designed web interface with self-explanatory icons allows a majorly language-independent operation. The devices offer a variety of predefined layouts. They are suitable for most standard applications. In addition, the layout editor allows comfortable creation of individual layouts. Via the network or internet status information can be received, data can be entered, and parameters can be changed. Remote diagnostics and expert support are also possible. User- or industry- specific solutions can be easily realized by additional software modules in the control computer. The operation is again via the web interface. 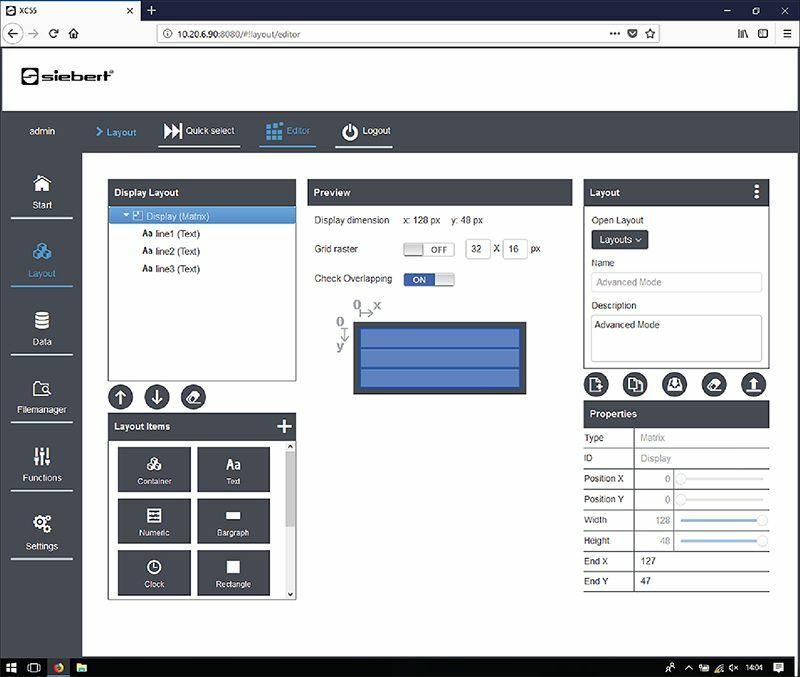 Examples are call systems, control systems, production control, etc..
Background images, system schematics, pictograms or logos can be integrated in BMP or PNG format. They can be also designed by our design studio.